The Wine Shoppe at Green Hills | Try Red Eye Rye! 19 Feb Try Red Eye Rye! 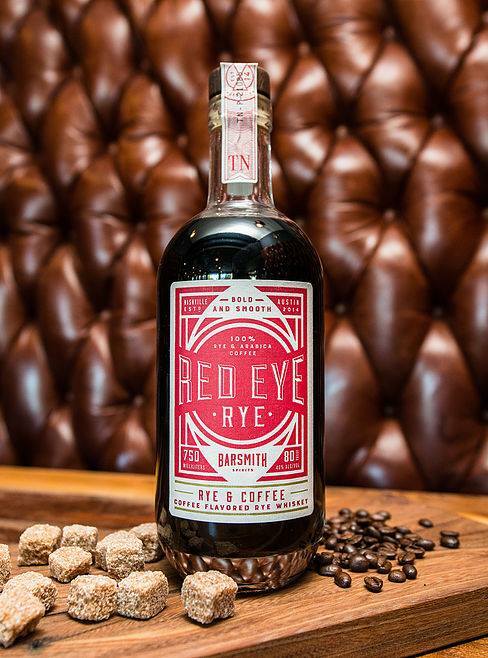 Red Eye Rye is a unique and versatile spirit born behind the bar in our hometown of Nashville, Tennessee. Rye whiskey, 100% Arabica coffee from South America and granulated sugar are blended together to create a bold and complex spirit that is great on its own or mixed into a classic cocktail. Roasted coffee, toasted hazelnut and pepper spice make up the nose of the spirit. On the palate Red Eye Rye starts with dark coffee turning into smooth vanilla and toasted nut flavor and finishing with a dry pepper spice mellowed slightly by a round sweetness. Bottled at 80 proof, Red Eye Rye is free of caramel color, grain spirit, or any other fillers or additives. Please join us on Wednesday February 20th from 5 pm to 7pm and sample is unique and local spirit.